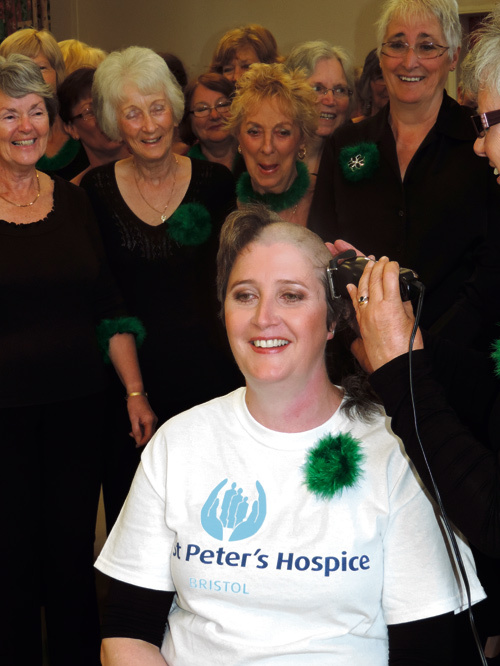 SOME may say it was a brave thing to do, but to Jane Curtis having her head shaved was the least she could do to thank a charity close to her heart. St Peter's Hospice looked after her sister-in-law, Lisa Curtis-Moore, when she was in the final stages of cancer. Jane wanted to show her appreciation of the unwavering help and support the charity showed not just to Lisa but to her family as well. The 41-year-old community worker decided to be shorn in front of the 60 female members of the choir she belongs to - The Frenchay Foxes. They packed into Frenchay Village Hall wearing full choir uniform and prepared to sing while Jane sat in a chair awaiting her fate. And although it was first a bit of a shock to Jane's system, she soon got used to her new look. "Everybody was watching while I was having my head shaved and they were singing to me. Bless them! "My hair was completely shaved - there was nothing left. I've got used to it now. The only thing that freaked me out was when I first caught a glimpse of my shadow - that was odd. "I've not even bothered to wear a headscarf because, at the end of the day, people with cancer don't have a choice when they lose their hair. At least mine will grow back." Lisa, the sister of Jane's husband Ty, passed away in October 2013 at just 35 years of age. She had cervical cancer. Lisa married her partner Simon in hospital just a week before she died and leaves behind a two-year-old son. 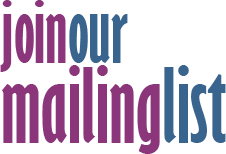 Jane, who has three children and lives in Kingswood, said: "St Peter's were absolutely fantastic in looking after her. It wasn't just with Lisa; they were brilliant with the whole family. They were very understanding and couldn't do enough to help. "People forget St Peter's Hospice don't get lots of money from the government. Most of their money comes from donations from the general public. I just wanted to do something as a thank you." And it seems kindness must run in families as Jane's husband Ty is also raising money for St Peter's. Along with his four cousins, Ty will embark on a 68-mile walk on August 23 around the coastal path of the Isle of Wight. The walk will be in memory of Lisa. Ty has already raised more than £1,000 which will be added to the £900 Jane's head shave has raised.